Brown Pundits: "Dad, don't worry. I've got a life vest on..."
Of course the subterfuge is of no use, we (as parents) would already be dead with worry and frozen with fear... and we would know that the kids are lying...and we will be forever grateful for those last words (texts). The night-flares lighting up the sinking ship will remain one of the most beautiful/sad scenes that we will experience (even if vicariously) over our lifetime. It has of course happened before, for example with the last (Let's Roll) 9/11 plane. The people on the ground new in advance (via mobile) that their loved ones were doomed...and there was nothing that they can do. Even exchanging seats would not be an option. The first prize should always be reserved (in our opinion) for the Beslan massacre which took place in North Ossetia (01 September, 2004). The Chechen/Ingush terrorists had cornered 1100 people including 777 children. Some parents were given permission to leave with their (very small in age) kids. It was well understood that the older kids would perish (as they eventually did). There was a mother with two daughters who had to leave one daughter behind. The last thing the mother remembers is her (elder) daughter crying and pleading with her. "Mom, I might not be able to tell you in person. I love you," the student texted, according to MBC. "Me too, son. I love you," the mother texted back, followed with three heart symbols. A student texted his older brother as the ship ran into trouble. "The ship ran into something and it's not moving. They say the coast guard just arrived." Brother: "Don't panic. Just do what you are told to do and then you will be fine". Another question on which we remain confused and will perhaps always be: Is it heroism or foolish courage to value everybody's life above yours? 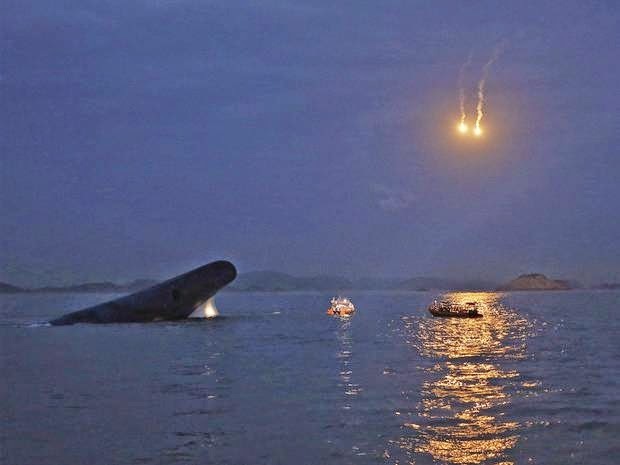 One crew member, named as 22-year-old Park Ji-Young, is said to have lost her life while struggling to make sure passengers on the upper floors of the ferry wore life jackets and found their way out. "I repeatedly asked her why she did not first wear a life jacket. Park just said she would get out of the ship after making sure that all passengers were out," a survivor told local media. "Park pushed shocked passengers toward the exit even when the water was up to her chest." The Korea Herald reports that she joined the ferry company in 2012 to earn money to support her family. When her body arrived at hospital, the paper reports, her mother cried: "I can't believe you left us"